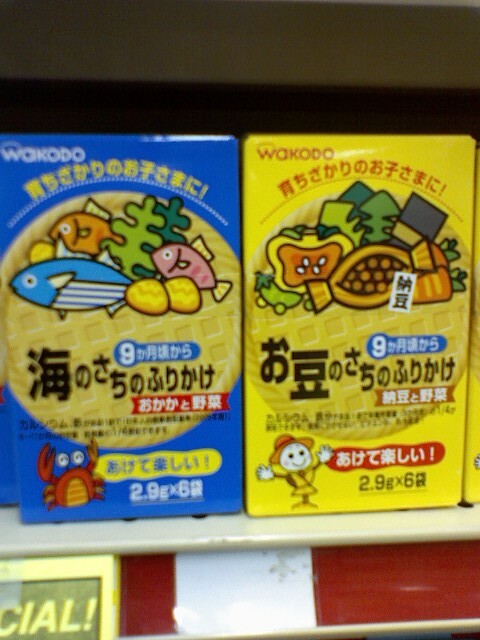 Here are a couple of pics from a recent lazy Sunday spent at Uwajimaya. 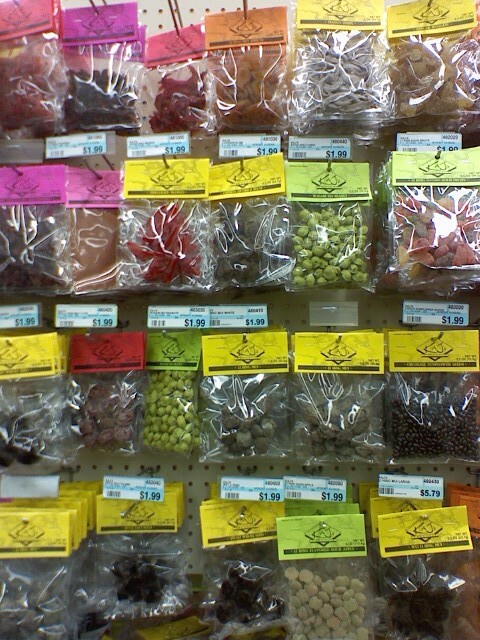 Waji’s, as it’s commonly known, is a huge Asian grocery store located in the heart of Seattle’s International District. 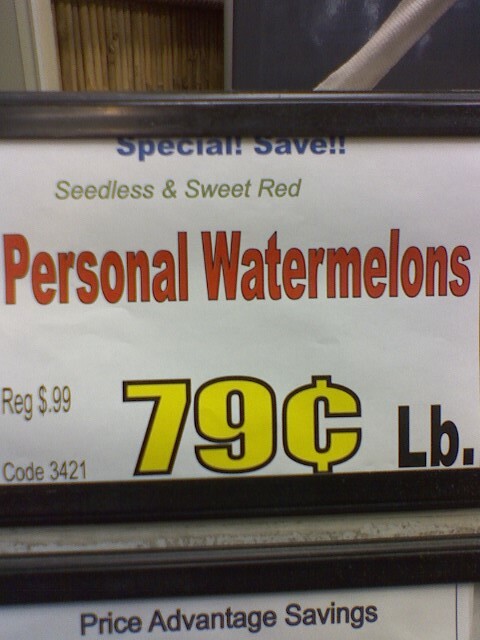 How big are personal watermelons? Turns out, pretty big. Compare them to the young coconuts in the background. Personal-sized items should not be larger than your head. Part of the fun of Uwajimaya is trying to decipher Japanese food packaging while Asian pop ballads blare from the store’s loudspeakers. 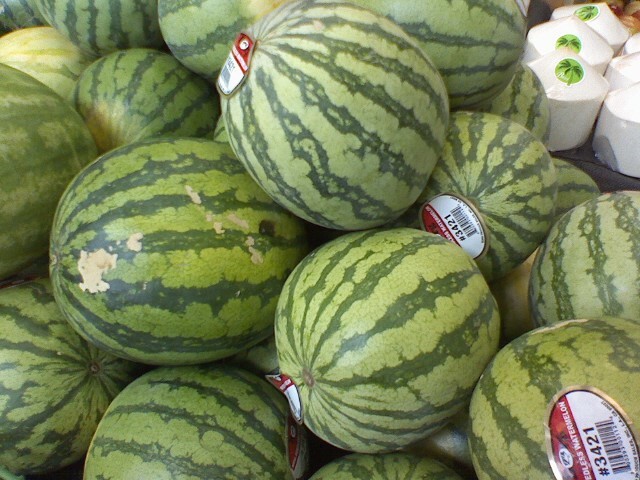 Can you guess what these are? 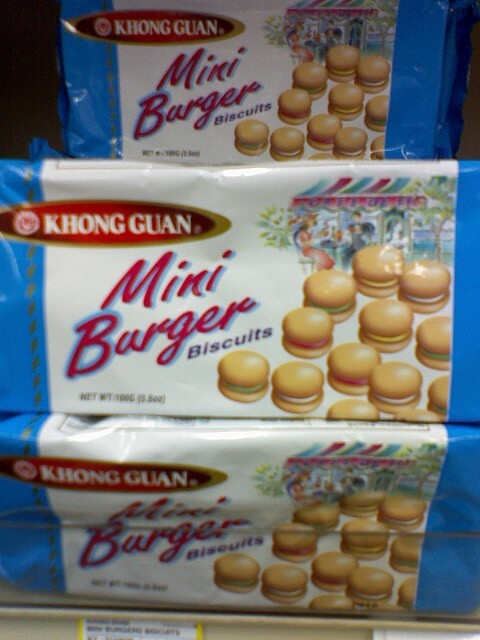 These would be fun to serve at a formal tea. 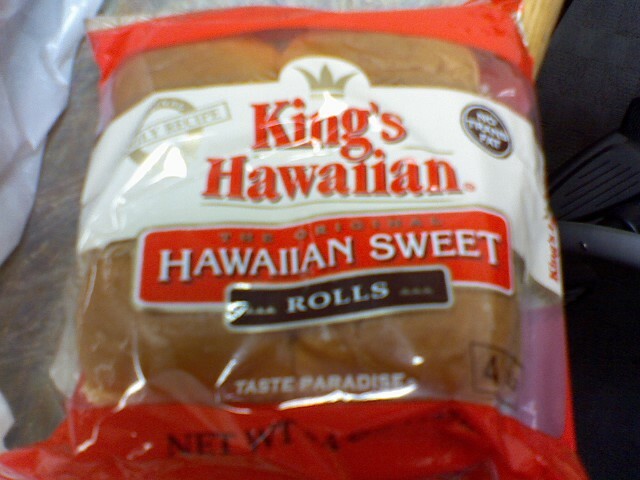 Hawaiian sweet bread was a staple food when I was a kid. I haven’t had any in years so I bought a pack of rolls. Check out this fancy smoked salmon roulade recipe using King’s Hawaiian bread. 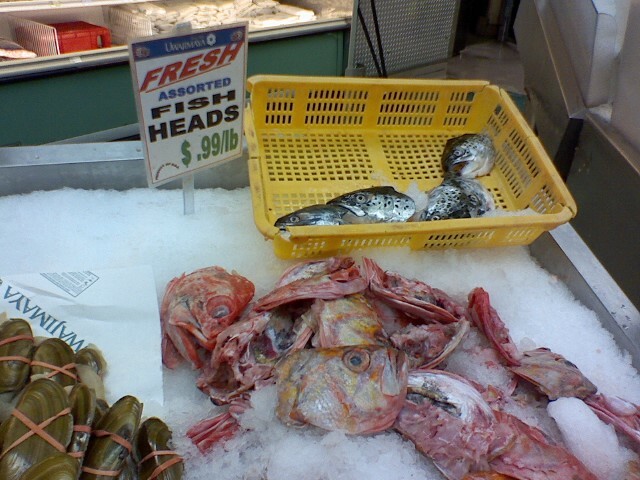 A sure sign you’re in an Asian grocery store, which may remind you of this weird song. 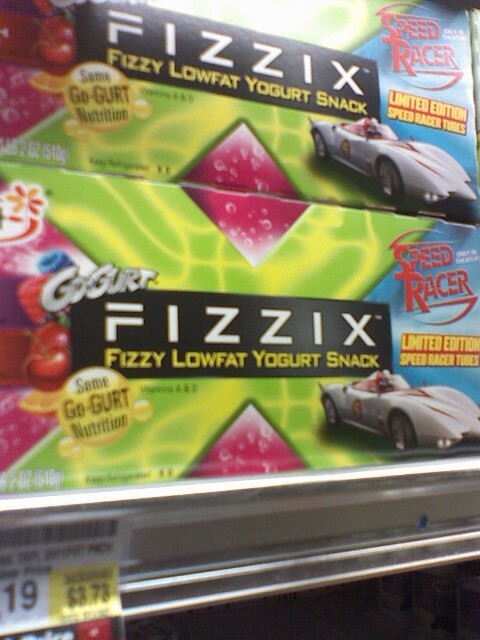 Fizzix has been around for awhile, but I never noticed it until the “Limited Edition Speed Racer Tubes!” (I guess the marketers weren’t entirely wrong.) I was intrigued by the thought of fizzy yogurt, but not so much that I wanted to buy a case and try the product. Lucky for you, the writer of Cheap Eats did. Full Tilt Ice Cream is scheduled to open June 20 in White Center. As its name suggests, it will have pinball machines. Full Tilt will also showcase local artists and musicians. I love that this business is opening in White Center, which is near where I live. But things are changing. The challenged neighborhood attracted the attention of the Annie E. Casey Foundation when in 1999 it was selecting sites for its ambitious urban renewal initiative, Making Connections. The foundation has invested millions of dollars in early childhood learning services, jobs programs and economic development for White Center. My friend Kathleen happens to be friends with the owners of Full Tilt. (Seattle is the land of six degrees.) Check out their MySpace page for more details. And if you want to learn more about the social change that’s happening in White Center, check out the Web site for the White Center Community Development Association. My friend Aileen is the awesome executive director. Inspired by a recent episode of “Jon and Kate Plus 8,” (my latest TV indulgence) in which the Gosselins let their twins and sextuplets have ice cream for dinner, I traveled to the Wallingford neighborhood of Seattle to visit Molly Moon’s Homemade Ice Cream. My dependable eating buddy, Lynn, joined me to sample some scoops. Molly Moon’s is one of a handful of artisan ice cream shops that have recently joined Seattle’s food scene. This past week, the Seattle P-I’s Rebekah Denn wrote a good article about the rise of fancy ice cream. 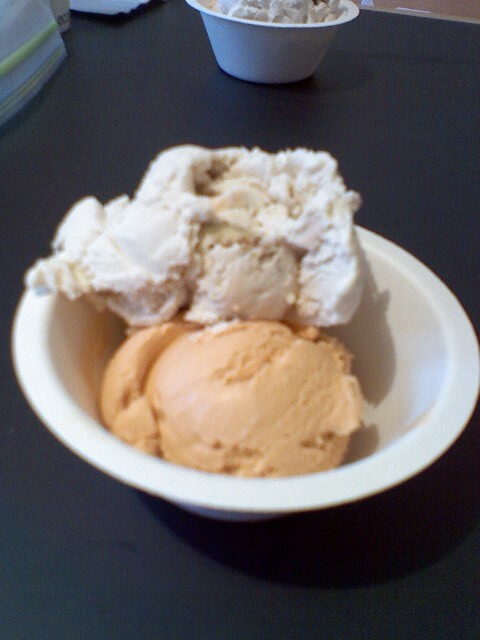 Lynn and I tried five flavors at Molly Moon’s: salted caramel, cardamom, Thai iced tea, maple walnut and vanilla bean. We got kid-sized scoops, which were perfect for sampling. I’ve decided to taste all of Molly Moon’s flavors and check out the sundaes and banana split as well. (Will this get in the way of my triathlon training?) Stay tuned for flavor updates. Props to my friend Mahnaz for first telling me about Molly Moon’s.